Which ace Khan will win the battle of Bollywood in 2015? The super popular Bollywood star with dreamy eyes and a face and physique to die for, Salman Khan, who refuses to get old, encountered huge success with his first lead role in the 1990 Hindi feature film Maine Pyaar Kiya. Despite so many controversies surrounding his personal and professional life and innumerable years of hits and misses at the silver screen, he still is among the most successful Bollywood actors. Also popular for his golden heart, Salman is known to have mentored many a Bollywood aspirant and star, including Hrithik Roshan and many new actresses. 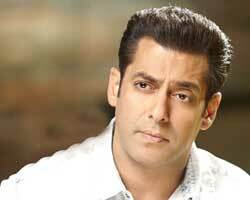 In 2014, Salman appeared in the movie Kick, which despite being a mindless thriller, managed toring the collection registers endlessly. However, the biggest question on his fans' minds is still the same – when will the macho Khan marry? Well, Ganesha took a look at Salman's Solar Horoscope to predict the way ahead for him in 2015. Salman will be under the influence of a Saturn major period and Mars sub period from 26th February 2015 onwards. He will be capable of giving good movies in 2015. Since his Mars Sub-Period will be ruling in 2015, he will come up with action films, feels Ganesha. This may also make him aggressive in his personal life. He will, thus, have to control aggression throughout the year, otherwise he may face trouble. Nonetheless, his financial progress shall be pretty good. Salman as a producer too – will do well. Rahu's transit through Salman's 6th House and Saturn's transit through his 8th House, however, are going to remain tough for his health. He will have to be very very careful, while working on action sequences, and must avoid high levels of risk. Also, owing to the transit of these two planets, Salman's 7th House (the House of Marriage) is in Paap Kartari Yog. Thus, the chances of him getting married in the nearer future (or, at least during the year ahead) are less. Overall, Salman's professional career looks set to remain good in 2015. Very recently, he gave Bollywood its highest ever grosser at the box office – with PK. At 44, he, extremely convincingly and brilliantly, portrayed the role of an engineering graduate/ fresher, and enthralled the Hindi film lovers across the world – in 3 Idiots. He is Aamir Khan, and regardless to what his detractors have to say - he is simply amazing! Despite controversies and allegations, Aamir refuses to budge, and continues to awe his audiences with his sincerity, versatility, splendid acting prowess and meticulous portrayal of each and every role he hand-picks – including his television outing. Ganesha looks at 'Perfectionist' Khan's Solar Chart to predict the way ahead for him in 2015. Aamir's Surya Kundli indicates that, though he will continue to remain under the spotlight throughout the year 2015, the transiting Saturn's transit over his Natal Ketu and its Square aspect with his Natal Sun-Venus-Saturn – shall not allow him to fly very high. 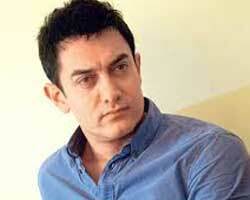 Overall, Aamir's concern regarding his career as a producer, director and actor is going to increase. But, on the whole, his struggle for these areas is also going to increase. On the positive side, during the 2nd half of the year, Aamir, if plans to, will be able to give very good film(s), and he may also gain through his partnership ventures. This partnership can also be with his life partner. Thus, 2015 may be progressive year for Aamir, but it does not look set to be his best. A simple Delhi boy, from an upper middle class family, moved to Mumbai, the city of dreams, with his wife – to carve a Bollywood career. And, what a glittering career he created for himself! Popularly known as the King Khan, one of the most successful actors of Bollywood, Shahrukh Khan is an enigma. But, is the enigma fading? Shahrukh had one release in 2014 - Happy New Year. Although, the film turned out to be a run away hit, it did not manage to perform as well his 2013 Chennai Express. And, Khan was also criticised on numerous accounts. Will the situation get better for him in 2015? How are the stars aligned for Shahrukh's acting endeavours? Ganesha takes a look. For Shah Rukh, the first two quarters of the year 2015 look set to be pretty average. He may end up spending more money than usual, during that period. He may also have to address some controversies, during the first half of the year. He will have to be very careful with whatever statements he relays to the media. His statements will run the risk of being taken very seriously by the media or the industry people, which may also put him in a soup later. In the second half of the year 2015, however, we will see the King Khan coming out with flying colours. His performance in the films, if released at that time, will be highly appreciated. He may also be able to produce good films at that time. For partnership ventures too – the second half of the year looks good for Shahrukh.